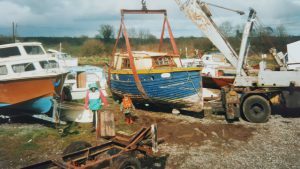 When you buy a boat like Trindle while it's still sunk and you do it on April fool's day you won't get any sympathy! 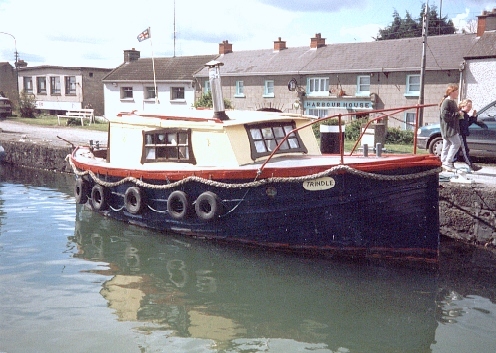 Trindle was once a ship’s lifeboat but when we bought it, it was some what neglected. It had sank on the Grand canal and lay on its side there for eight years. We had often admired it and we could see through the surface to a boat that had potential. We bought it on April fools day 1994 for £500. 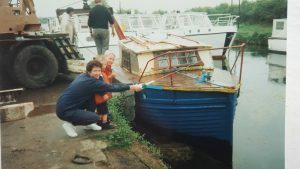 We immediately set about pumping it out and getting it afloat and lifted out of the water. Trindle was what they called a double ender, meaning it was pointed at the back as well as the front. 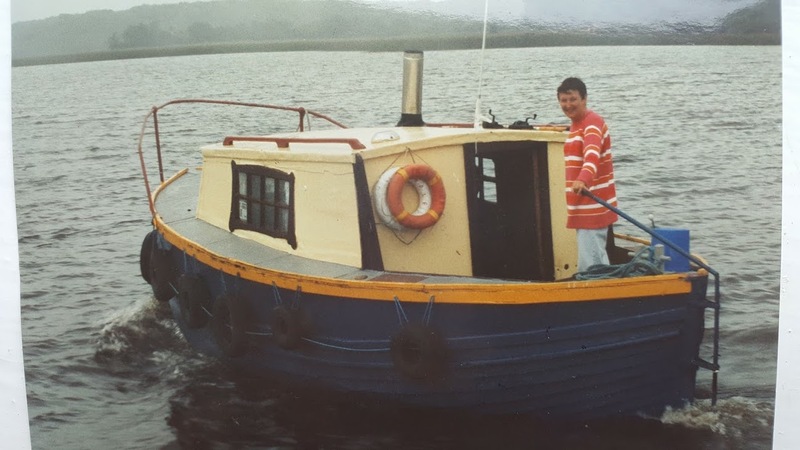 It had no engine but it had a sort of well cut into the hull to allow you to drop down a small outboard engine. The well also helped to sink her quite often. To be honest, Trindle was as rough as a bears arse, it needed everything done to it. 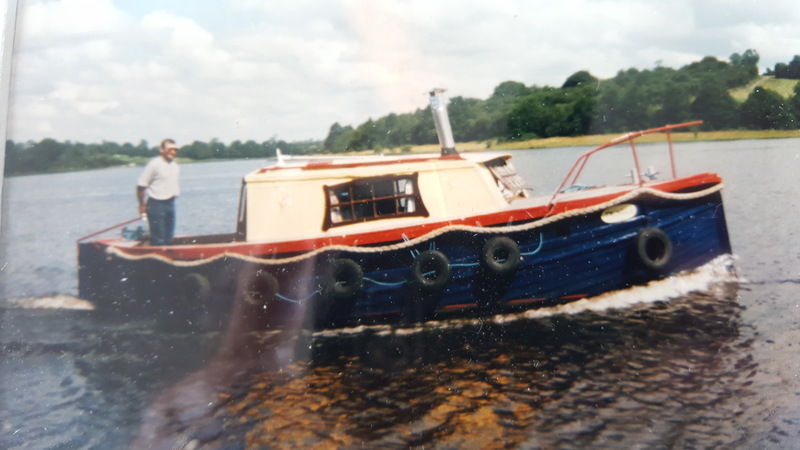 We bought an old Yanmar single cylinder Diesel engine from Carrick Craft in Carrick on Shannon and managed to fit it against all the odds. We covered most of the dirt with paint and before it was even ready, we put Trindle back in the water. Marion and Ben launched her! We had Trindle for the next seven years. 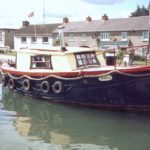 We holidayed on her every summer as well as on most weekends. 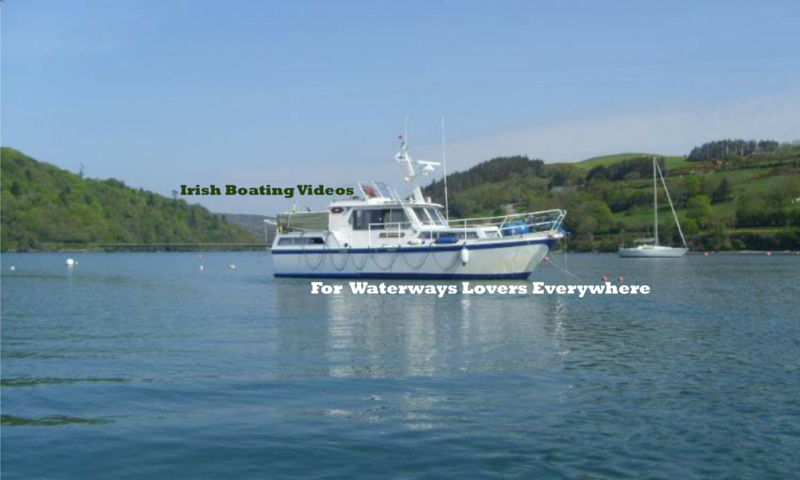 We went into Dublin City’s river Liffey and up the Shannon as well as the Shannon Erne waterway the year it first opened. 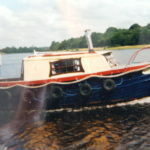 We went down the river Barrow to St Mullins and as far as Ardnacrusha on the Shannon. Ben enjoying a weekend and a fishing adventure. 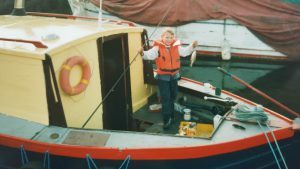 If you own a wooden boat you have probably caught yourself talking to it every once in a while. That’s okay we all do it, it’s when you hear the boat talking back to you that you have crossed the line and that’s the time to sell it.